hollywood memorabilia It is the premiere destination for authentic entertainment memorabilia and collectibles. tHE gREAT sAUNITES great band!! *AVOPOLIS* The Best Musical Web Site In Greece! Stoner HiVe In Honor Of The Freaks In The HiVe! YouTube – Vuelo de la Esfinge Channel – este es el canal de mi mejor amigo! This debut EP from Subterranean Masquerade brings to a light a type of music combining the likes of Pink Floyd with Opeth-like melodies and jazzy breakdowns that have not been seen before. This bands features members Novembers Doom and Agalloch to create music that is the to the word ‘weirds’ fullest extent. –sputnikmusic. And an image foreseen from the other room… Is this me? 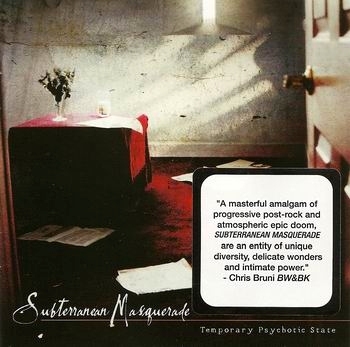 Subterranean Masquerade – Suspended Animation Dreams (2005) ‘The Great Saunites’ from Italy! this is the music we like to me and teddy! they are a band that travels from Poland really making music made ​​for tripping and daydreaming. visit their blog! Psychedelic band led by Craig Dyer. Influenced by The Velvet Underground, The Brian Jonestown Massacre, the ballads of Bob Dylan and the noise of The Jesus and Mary Chain.